There are lots of details to discuss here that will be added soon including pics of tags. Several varieties of Soldier Fatigues as shown below. Earlier sets tend to be of heavier fabric and have (TM) on the tags, later sets are thinner material and have (R) on the tags. Early pants are sometimes untagged, and sometimes have round instead of square snaps. Buttons are usually green, but can be brownish. 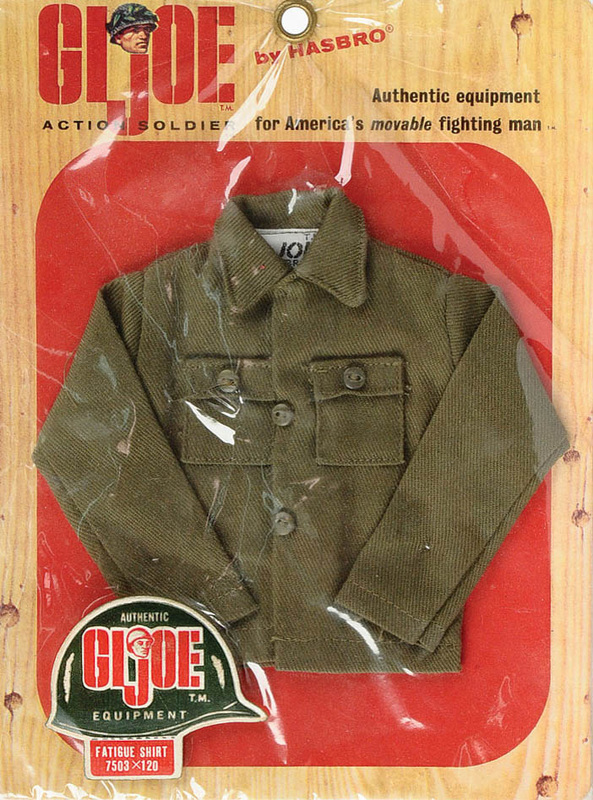 Above left, no pocket(TM) Japan fatigues from an early issue boxed figure. Above right, (TM) Hong Kong carded fatigues. Below left, a mixed set with an (R) Hong Kong top and (TM) Hong Kong bottoms. Below right, a (R) Japan set. 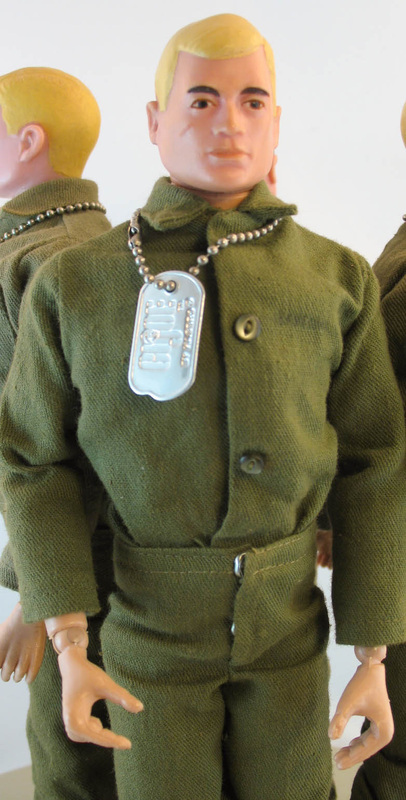 There are also (R) Japan sets without pockets as sen on the Black Action Soldier. 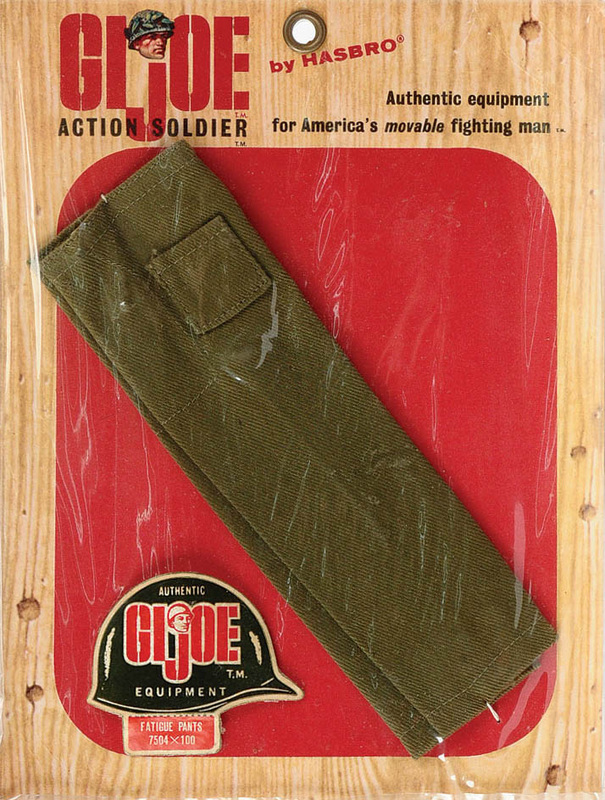 The pockets on early carded fatigues may have been an effort to create a more deluxe set, as many early figures came boxed with the no-pocket version. 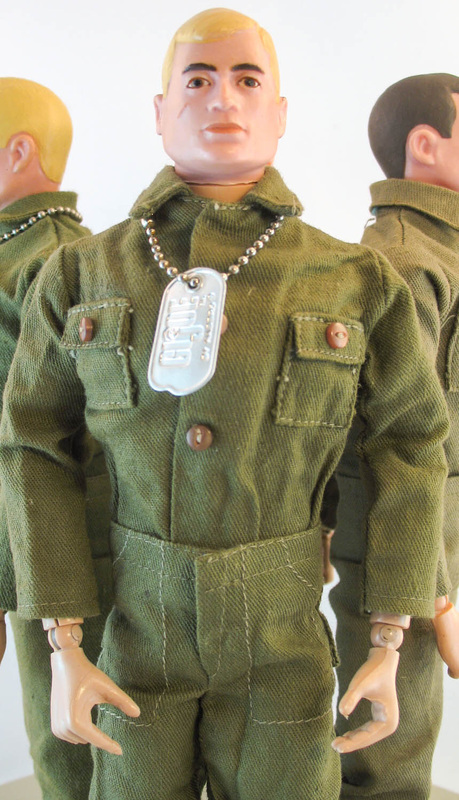 From 1965 on, virtually all boxed figures came with pocketed shirts, though the pants pockets disappeared entirely except for MP sets, and a buttonhole pocket in the Air Force dress pants. Images of 1964 carded sets (7503 & 7504)above copyright and courtesy of Vectis Auctions. 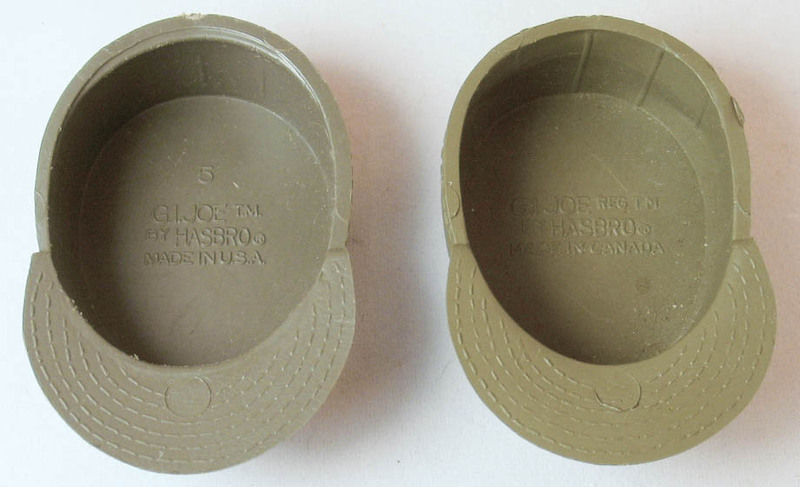 Most caps are marked as seen on the right, with various mold numbers. The one shown on the far right came with Canadian figures. 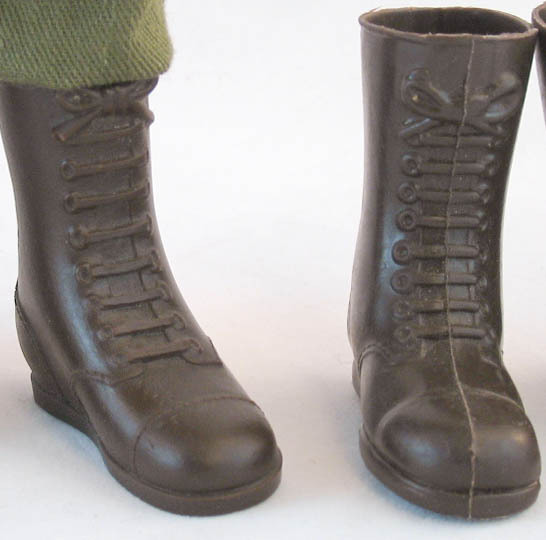 Early issue rubber boots appeared on the first release of the boxed figures. The one on the far left is a the more cleanly detailed rubber version, a standard blow molded one is next to it. These boots are marked Hong Kong on the heels and have flat soles (below). They tend to harden if poorly stored and can shrink to be too small to fit on Joe's feet.